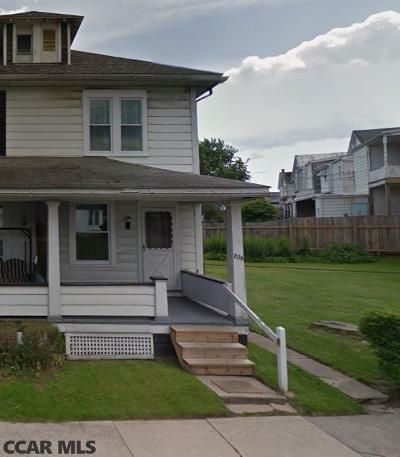 Solid, 2 story, 1/2 duplex in Lewistown Borough. Zoned Commercial/Residential. Original hardwood floors throughout the home except kitchen and bath. Vintage kitchen sink, vintage cast iron pedestal tub and sink in bathroom. Home is loaded with character and charm. New oil-fired boiler installed in 2010. New vinyl double hung windows with colonial grids installed in 2012. New shingled roof installed in 2013. Great starter home for first time home buyers or a home-based business. Schedule your showing today!